Doyle, 51, prefers to call herself a priestess, but frankly, most people who know of her (which is a surprisingly considerable number) favor a different title: witch. Her tiny home in Southeast Portland is filled with antiques and her own paintings, many featuring women with pale blue or golden auras. Doyle runs a popular podcast called Ask Pomegranate, which garners hundreds of downloads each month, and gives psychic readings, but mainly she offers ongoing counsel to a roster of private clients, with a long waiting list. Sure, there’s the occasional curse to lift, ghost to detach, or past life to confront and mend. Most of Doyle’s work, though, is what you’d get on a therapist’s couch: help finding meaningful careers, repairing marriages, and dealing with anger, grief, and fear. “That’s what they said I should focus on,” she says, referring again to her spirit guides. Doyle was born in Canada to Irish parents. She says she discovered she was psychic as small child. She figured everyone else was, too, before eventually realizing that she was talking to people others couldn’t see or hear. “My mother defended me,” she says. “The Irish are very accepting about these kinds of gifts.” When she was 21, Doyle moved to Portland. “I was looking for the right land-spirit. When I saw the Willamette River, it was over. I was home.” She cemented her training by studying magic while traveling with Starhawk, author of The Spiral Dance and 11 other books on neopaganism and arguably the most famous priestess in the modern movement. For 18 years, Doyle traveled across the United States and Canada to teach workshops on psychic development. “Then my spirit guides told me to stop,” Doyle says. For two years, she battled illness and exhaustion. 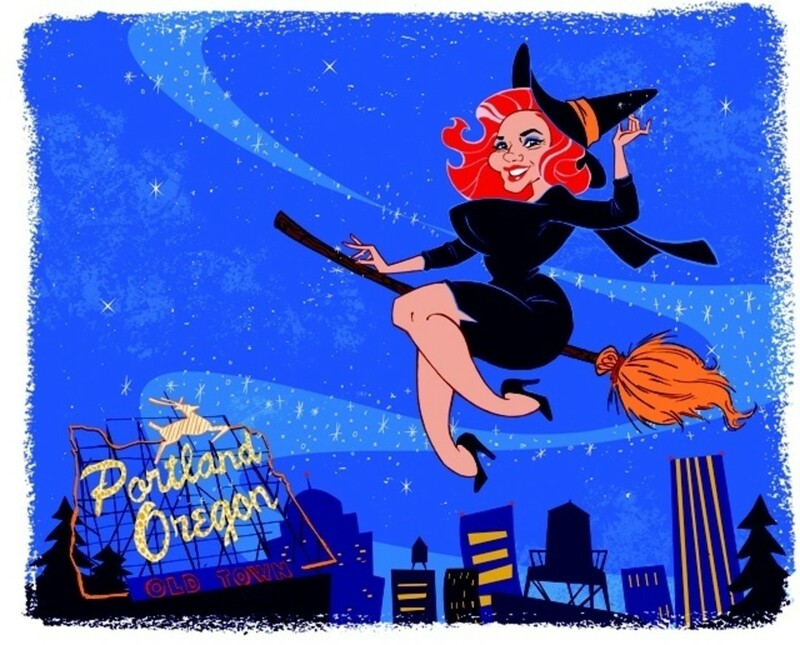 When she emerged, it was with the mission of connecting the general public—not just other witches—with the magic in their lives.